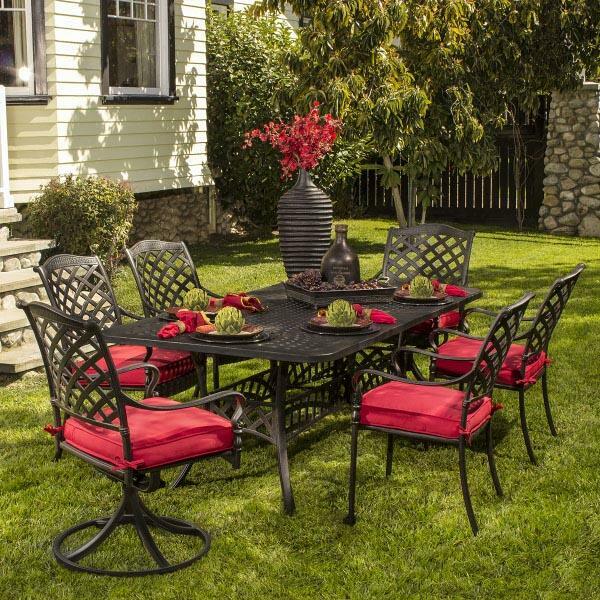 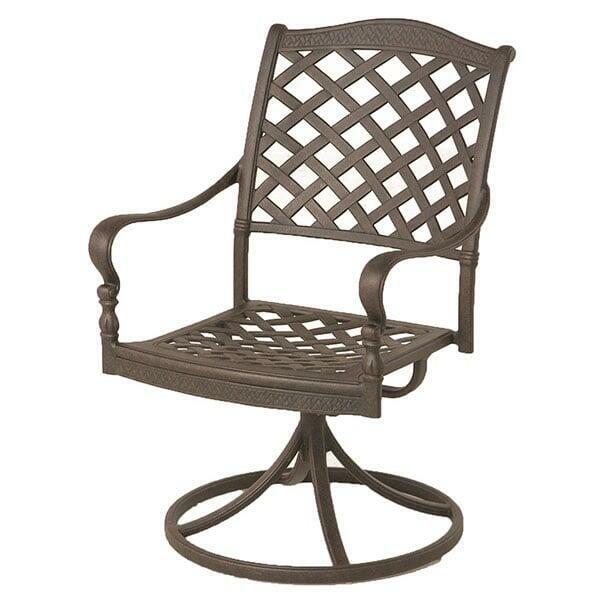 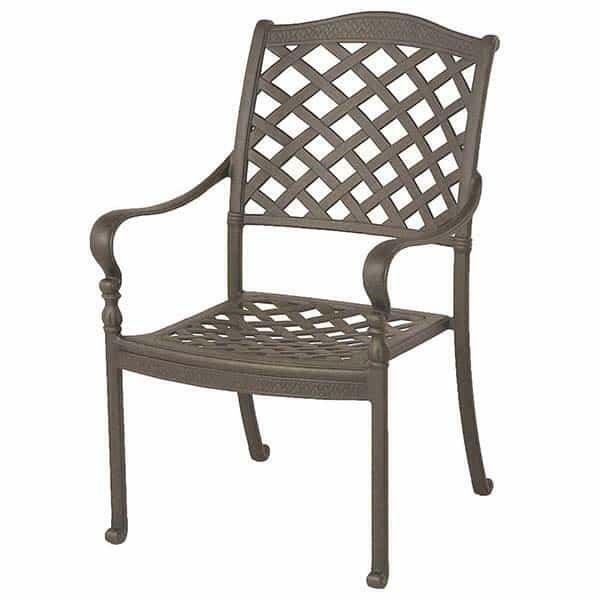 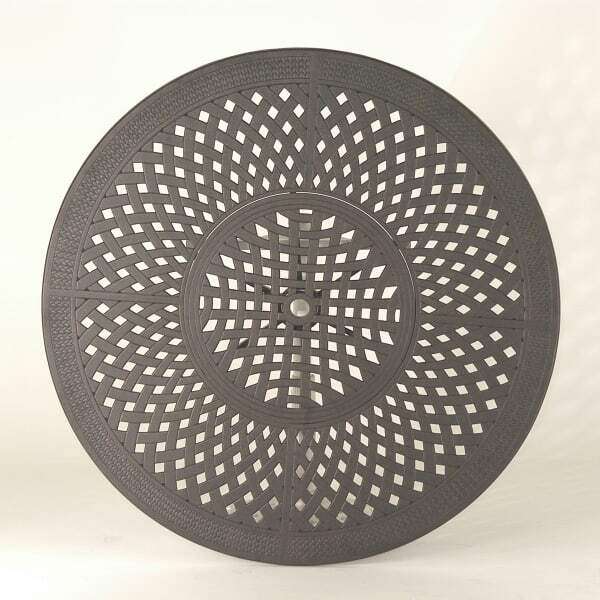 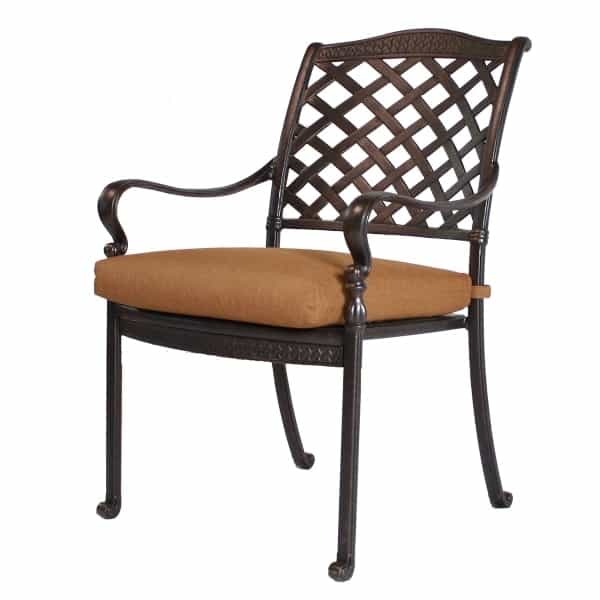 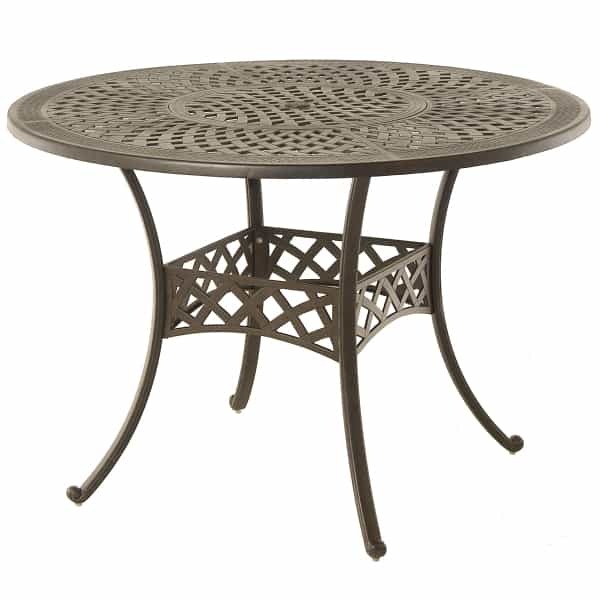 The Berkshire Outdoor Dining Collection flawlessly blends charming motifs, such as intricately-carved, criss-cross hatch patterns in the back and seat insets, with hardy production methods and materials, such as Hanamint's five-stage powder coating process and prime-grade cast aluminum. 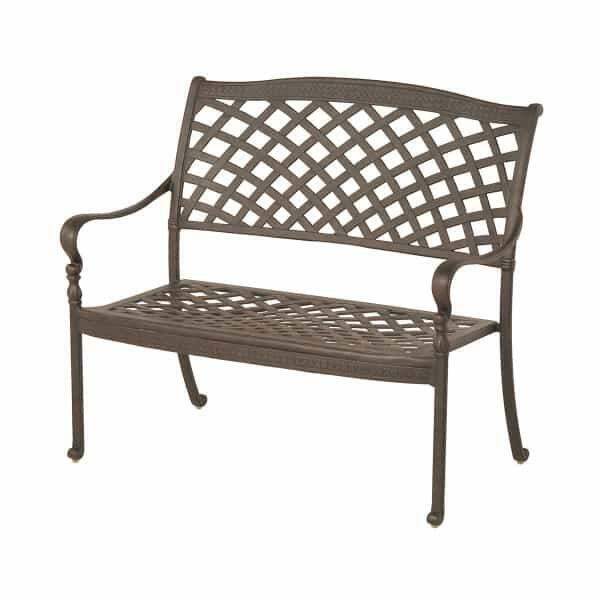 Combine these production processes with craftsperson-quality etchings and carvings, and the Berkshire Collection presents resilient and robust, yet gorgeously attractive patio furniture! 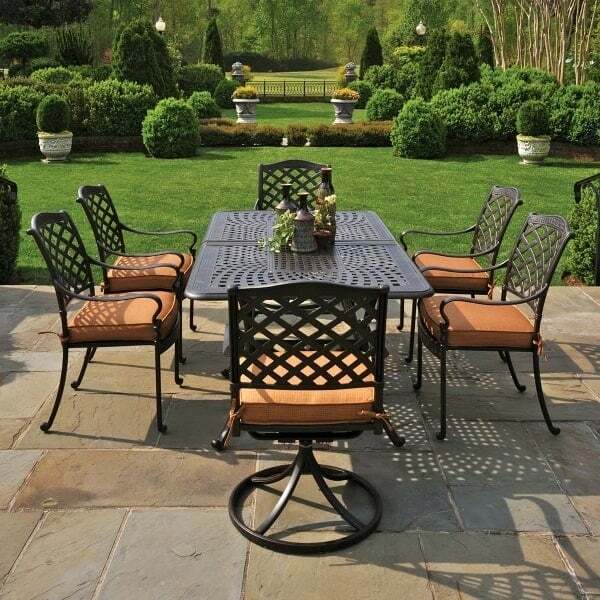 With Hanamint, one of the best manufacturers of casual patio furniture in the world, we promise your patio furniture set will stand the test of time, even if you leave it outside in the sun, wind, rain or snow. 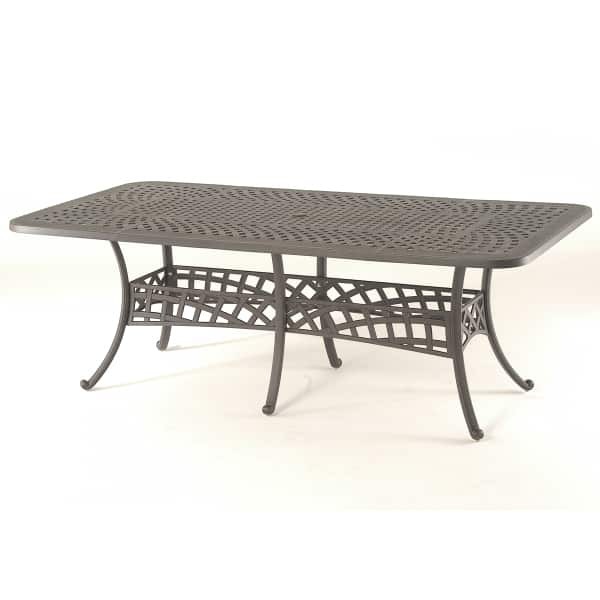 The Berkshire outdoor dining collection combines modern construction with traditional outlines, creating superior patio furniture that can only be achieved by Hanamint! 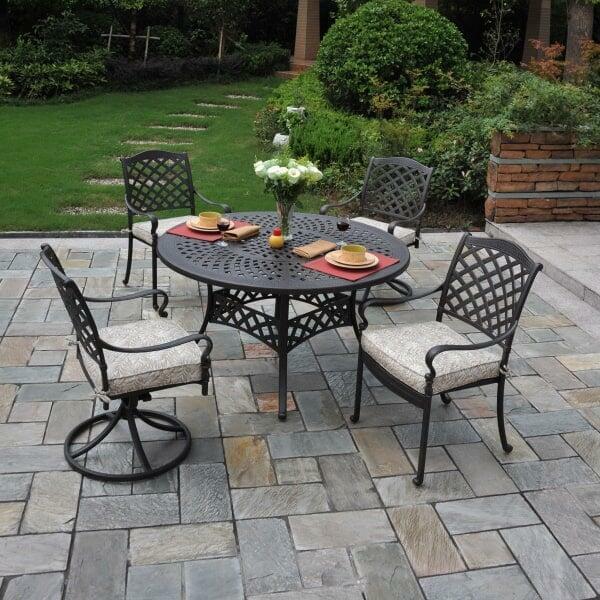 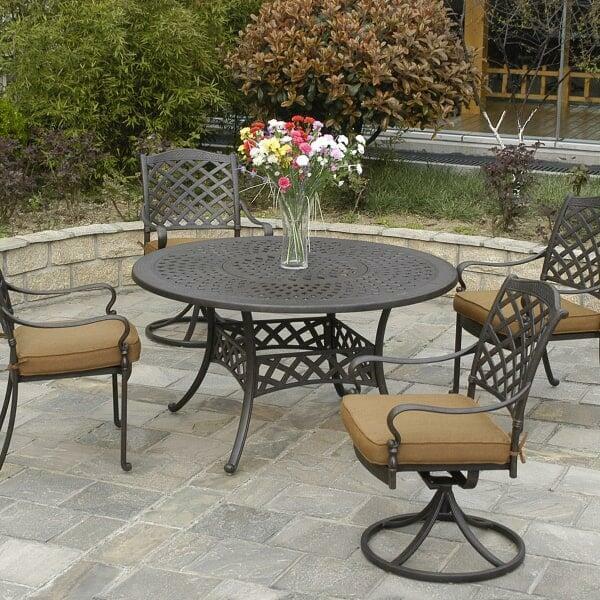 W 24.6" x D 17.2" x H 38"
W 54" x D 54" x H 29"
W 42" x D 76" x H 29"
W 42" x D 84" x H 29"
54" Lazy Susan Table W54"D54"H29"